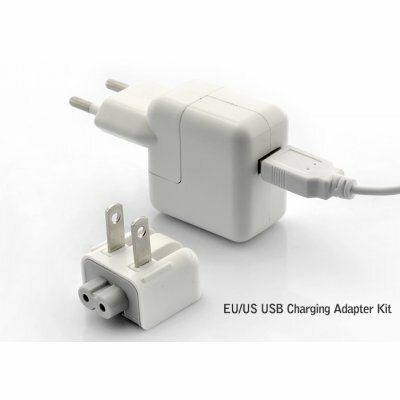 Successfully Added EU/US USB Charging Adapter Kit (for iPhone/iPod/iPad and More) to your Shopping Cart. USB Charging Adapter Kit with both EU and US adapters for you to charge various electronics at home or while travelling. With this charging adapter kit, you eliminate the need of bringing any other chargers with you when traveling. The adapter includes USB charging along with two adjustable power plugs which can be modified to fit the European (EU) and American (US) outlet style. It can be used in all regions including most Europe, North America and most Asian Countries. This USB charging adapter kit is now in stock for immediate shipment worldwide. Our low factory direct price also makes this an ideal item to buy in bulk for lower prices and then sell individually to your customers. Brought to you by the leader in factory direct China electronics - Chinavasion. Nice, OK quality, bought 5 pcs, and comes with a EU adapter so it works in EU + Norway! Thanx.